I found Ian in the Gold Coast on his way to work at Jack Spade. 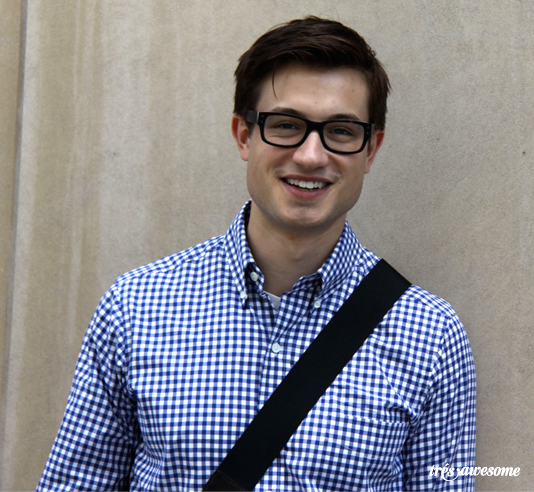 He looks dapper in frames from See and a shirt from you guessed it, Jack Spade. 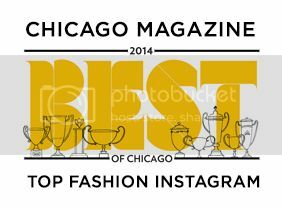 Ian is having a bit of a run on Chicago street style blogs. 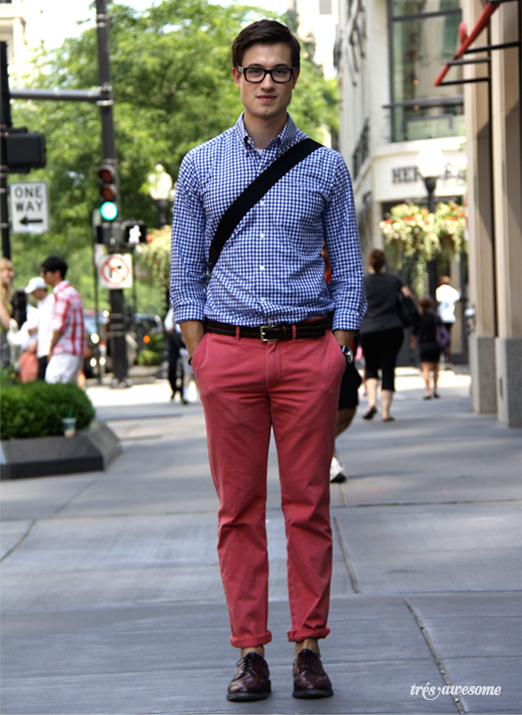 He was also recently featured on Amy Creyer's Chicago Street Style in her round-up of hot CTA commuters. Gotta love a man in pink pants. Ian's are from Rugby Ralph Lauren. 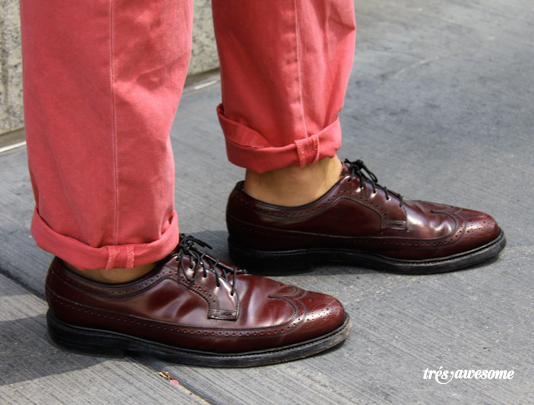 These vintage shoes are classic. This is the second rad timex watch I have posted in the last week. Take a look at the brown version here. He's adorable! I love this look. 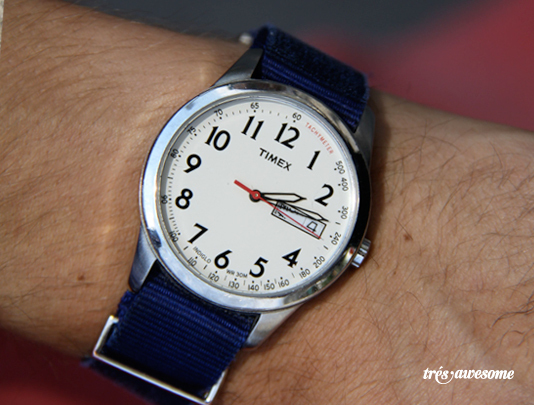 That is NOT a Timex for J.Crew, it is just a Timex. I'm not sure why you thought this was for the J.Crew collection (it has a tachymeter), outside of maybe the fact that a lot of people think the only nice watches Timex makes are their J.Crew collection - patently false. I have this same timepiece, and I love it, but you're sending people in the wrong direction to buy it!! Thanks for the heads up Andrew. Duly noted and corrected.